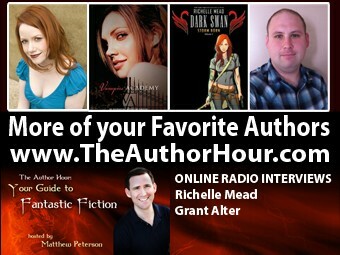 Richelle Mead is the #1 New York Times bestselling author of the Vampire Academy Series, the Georgina Kincaid Series, the Dark Swan Series, and the upcoming Bloodlines series. Her books have been honored by the American Library Association, the Teen Read Awards and the Goodreads Choice Awards and have been translated into at least 30 languages. We're still transcribing this interview, but you can listen to it right now.